THE CHANGES ARE REAL TO THOSE OF THE PERCEPTION AND KNOWING, WE ARE AWAKING HUE. You must harness anger to make changes which can be confused as aggression for it has the power to change indulgences and naps of the soul. Your soul will drill you in boot camp when you’re ready and you do not listen. The soul will blow the trumpet when you sleep in illusion. It will tear you down and stop your pretences and your childhood games. Your tears that are contrived will not work but your willingness to get into shape will be heard. Be prepared dear souls, for there is a great war that is about to happen. Your “gods” will not save you from being untrained and ready for battle. These are not Angels nor demons. Those are in your head and archetypes of your collective. There are other off world and world based entities that are not asleep and under the spell of the dreams. The Elite have sided with other races and life forms. Just know this, neither is better when you lose yourself in their programs. You’re all aspects of the PRESENCE. Never be led to forget that or you will be their slaves. Clever are they for they know the workings of the human mind and the DNA hardware. But each of you are the software and the applications that make it all “alive” and conscious, for you are “gods” creating daily many AFFAIRS in the Carnival of this re creational world. Many of the advanced beings are now coming in to select new pets as it were to train and have on their home worlds. So be in the best behaviour while you’re in the kennel for you will be taken to other worlds based on your morals, integrity and attitude, so you are all fair game to the bidders. This by the way, happens every few thousand years and your planetary world still shows the ancient directions of the worlds many times. You are completing the 4th cycle, this will happen 7 times in total. That is the design and lease from the Ancient of Days. For great beings in their sleep ‘there is nothing new under the sun’. We are of the Stars of the Nordic and Lemurian ancestors and we go back 4 billion years in your time quanta. There have been created advanced bodies with vile soul cords that had to be imprisoned upon your world inside inferior limited bodies because they lacked the knowing of love and respect for all life. Eyes only send fields of energy that is the state of each of your beings, so learn to use them. You must look at yourself in the mirror and if you do not like what you see there is a reason. For many, there are activations going on that do not deal with just the solid body you have gotten yourself in. This is how you’re being trained, for many of you are on leashes which limits you by your vibrations. Just know that as of 3 days ago we allowed many rays of cosmic energy to hit the planet. This is activating your vehicles so that a waving of a new light body will be timed in a mirror image of your present form, but only in perfection. For many of your minds will be like no other and you will think quicker than you have ever. You will know things about people and the state of the Universe for you will be plugged into the “inner network” of light fibres and freed from the kennel. For each and every one of you have been trained by the masters and made the grade for the dog show to finally receive your awards for good breeding and training. WE CONGRATULATE YOU!! Each of you that know things are changing will let go of your pettiness and if not we will make it so to make you heal. After your healing and measure of light units you term LOVE you will gain the powers you once had before your fall. They cannot hide our structures nor tell you that your present species made them. Know this was your other life that you failed in and you have been in detention. Knowledge will be restored to those that have sought the paths of truth and philosophy of life and meaning. This is the price you had to pay to cleanse and learn the results that could have infected the other quadrants of the Galaxy. The world will be shifting its axis and the polarity will change as it always does for the next phase of your graduation. So remember Atlantas, Lemuria, Mu, Aztec, Peruvian and the Polynesian stoneworks and semiconductors that worked with your minds through the pyramids. 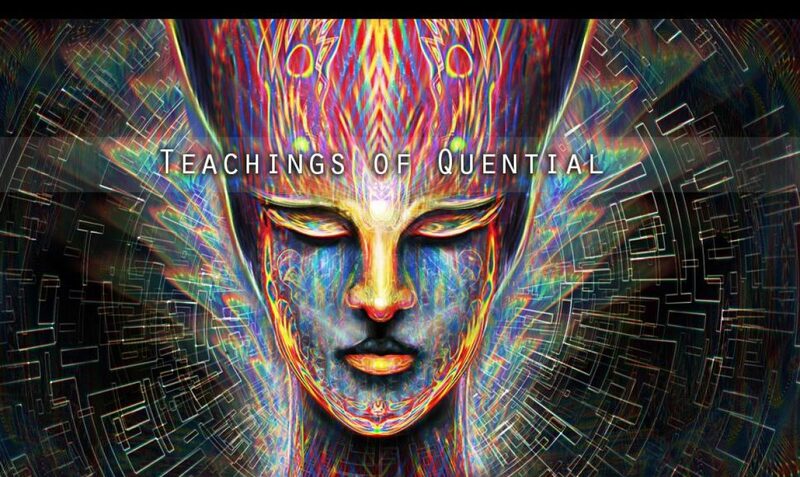 The quickening is really the remembering and awakening. Your current “leaders” are deceivers and are systematically using the power of religions and belief systems to set up wars that will light up violence, the opposite of love and harmony, to be saved from the world for heaven. One small caveat is that you had heaven here already and with your ignorance and programmable minds you have lost your connection to your hearts and souls once again. So if you want a new Heaven on Earth you shall have your world again for another 26,000-year term of detention. Saturn will rise and the bonded souls will be fully released from this prison even below your Earth chaos. And guess what? They are ‘your devils’. We have been bringing them to this world one by one to experience the grand finale. These are turbulent ancestors of the Atlantian deluge. Great attempt by the way with your CERN. You have opened up portholes to this planet and are inviting these corrupted entities that have the worst of the worst to Earth. If you want to move on to the higher realms release the spell and the contracts you made to religions, governments, and other agencies and claim your sovereignty. Open up your hearts to the UNIVERSE OF LOVE AND LIGHT. So if you want to get off the cycle, the choice is yours. Previous Previous post: BE THE CAPTAIN OF YOUR SHIP AND RETURN TO YOUR SOVEREIGNTY. Next Next post: CLEAR THE LENSE AND DARE TO VISION.